The demand within the global endodontic files market has been rising on account of advancements in the field of dentistry. Endodontic files are a key component of dental aids as they help in accomplishing several dental procedures. Endodontic files have pervaded the dental industry which has given an impetus to market growth. Endodontic files are used for conducting root canal treatments, and the sheer relevance of the latter has propelled market demand. It has lately come to light that the global market for endodontic files would witness the inflow of voluminous revenues in the forthcoming years. Dentistry has emerged as a lucrative haven and several new technologies have made their way into the industry. Root canal treatments are a prerequisite for several dental treatments which is expected to propel demand within the global market for endodontic files. Owing to the aforementioned dynamics, it is safe to prognosticate that the global endodontic files market would expand at a stellar rate. The global endodontic files market may be segmented on the basis of the following parameters: application, type, region, and treatment. All of these segments pertaining to the global endodontic files market have played a key role in enhancing market growth. 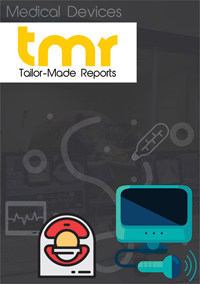 A report added by TMR Research on the global market for endodontic files sheds value on several key dynamics of growth. The presence of a well-developed dental sector has created commendable growth opportunities within the global market for endodontic files. There is a stellar need for improved medical facilities across the globe. All of the aforementioned factors have been elucidated within the report on the global market for endodontic files. Advancements in the field of dentistry have played a major role in the growth of the global market for endodontic files. The growing demand for root canal treatments across the dental industry has compelled dentists to store endodontic files in abundance. Furthermore, the growing propensity of the masses to go for smile enhancement and other key treatments has also propelled market demand over the past decade. It is expected that the quest of the medical practitioners to ensure a regular inflow of patients would lead them to store enhanced equipments and aids. This factor shall play an underhanded role in the growth of the global market for endodontic files. The endodontic files market is projected to accumulate voluminous revenues over the next decade. This assertion can be explained in terms of the rising inclination of the masses towards improved dental treatments. Furthermore, the global market for endodontic files is also expected to expand as the field of dentistry attracts investments from renowned stakeholders, angel investors, and venture capitalists. Based on geography, the global endodontic files market may be segmented into Latin America, Europe, Asia Pacific, the Middle East and Africa, and North America. Amongst these, the market for endodontic files in Asia Pacific has been expanding at a stellar rate. Moreover, the need to maintain a seamless dental industry has also created commendable demand across Asia Pacific. Some of the key vendors in the global endodontic files market are Brasseler USA, Dentsply Sirona, Ultradent Products, and Danaher.